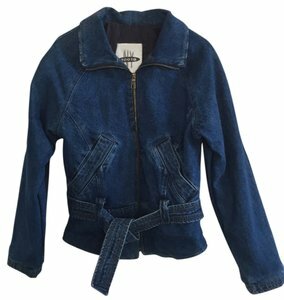 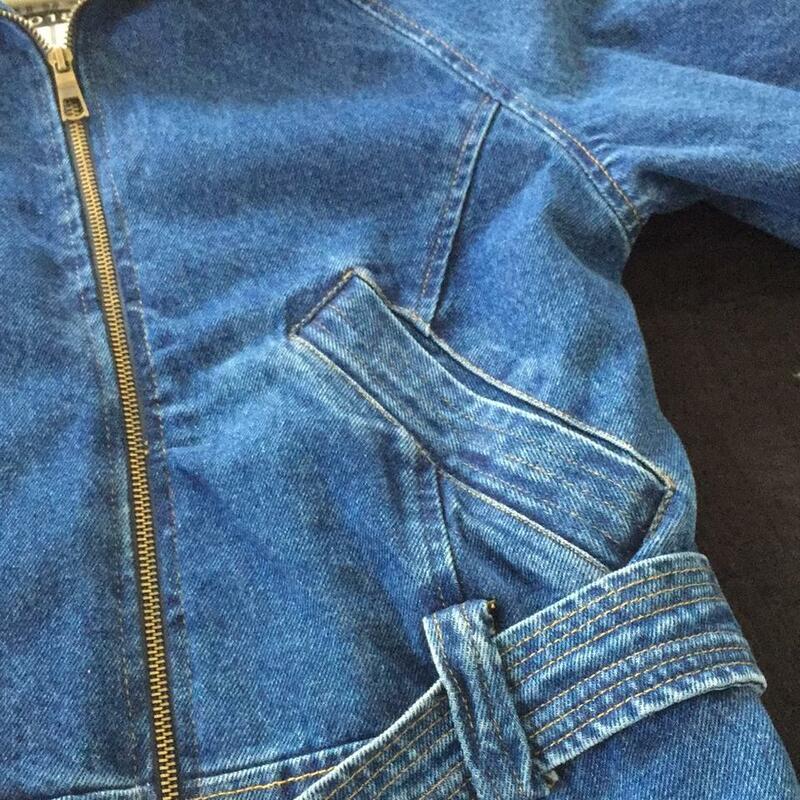 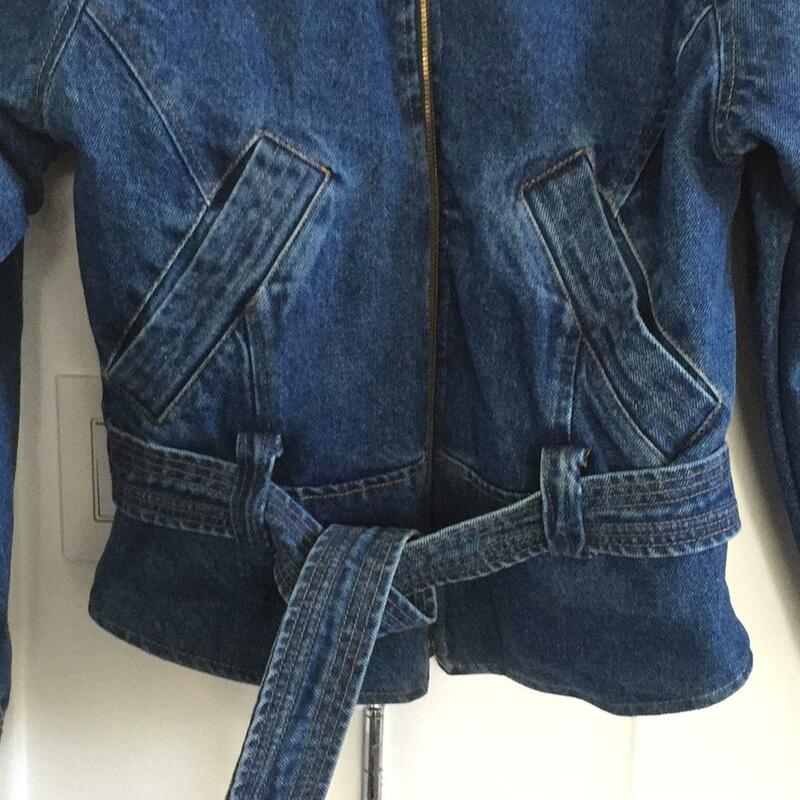 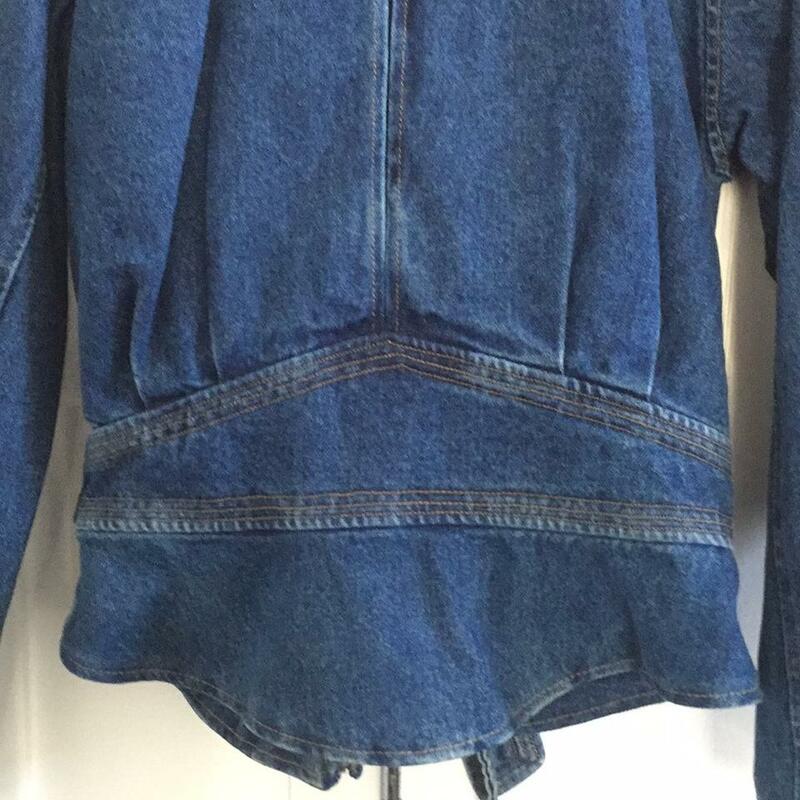 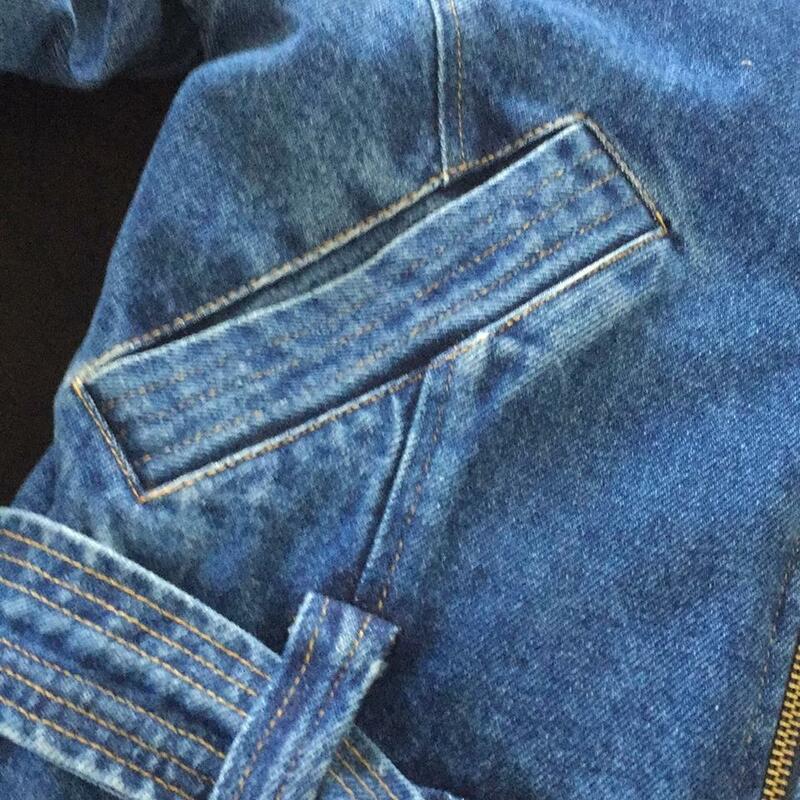 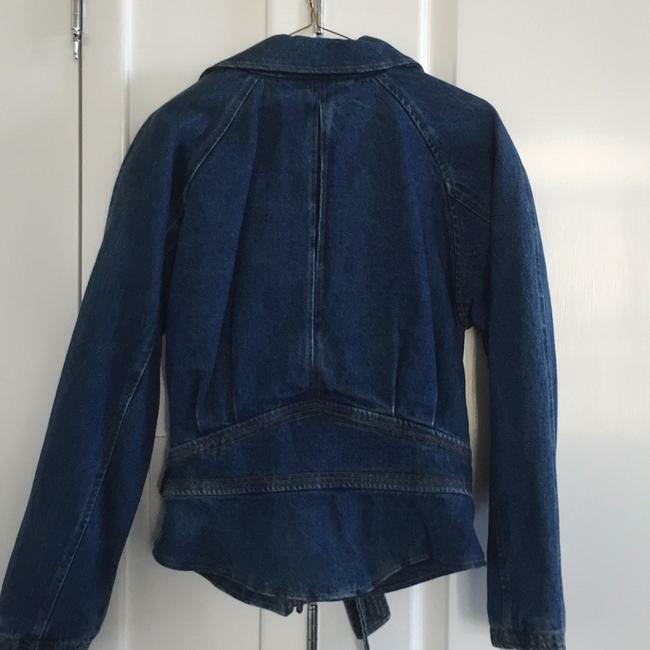 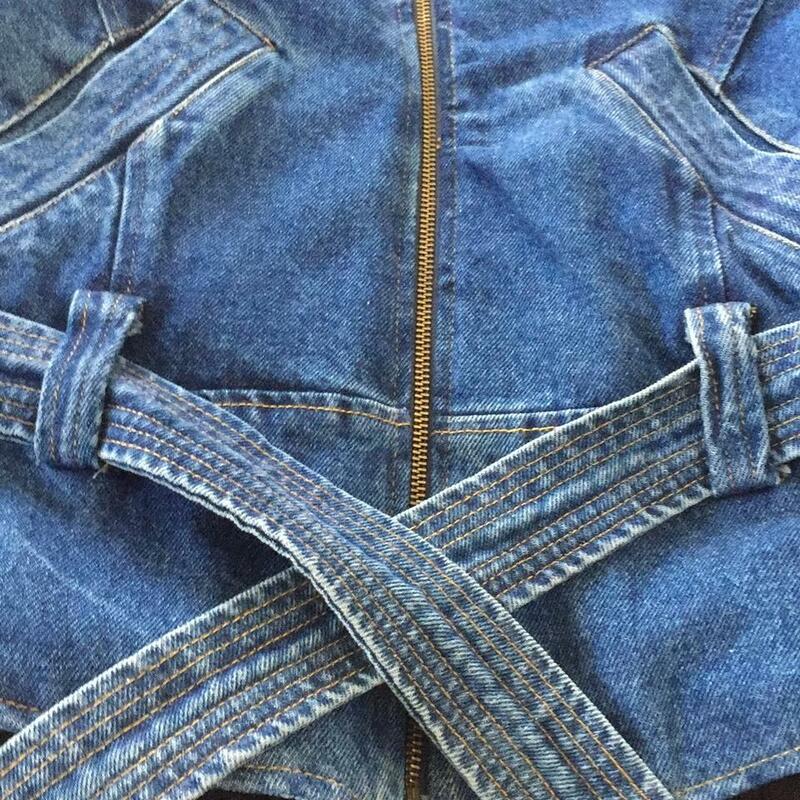 Denim Zip Front Jacket with attached belt. 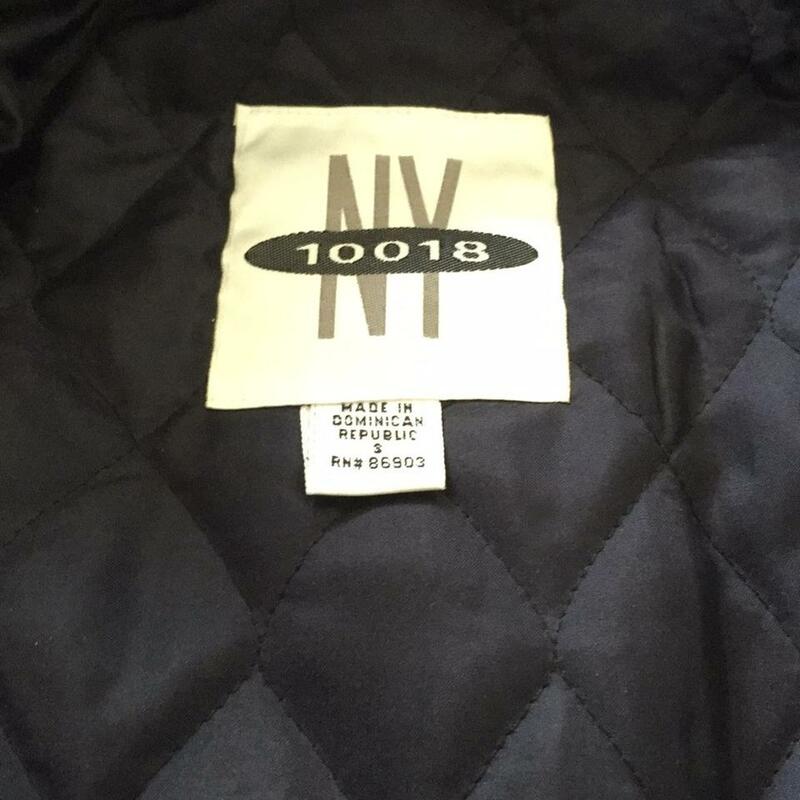 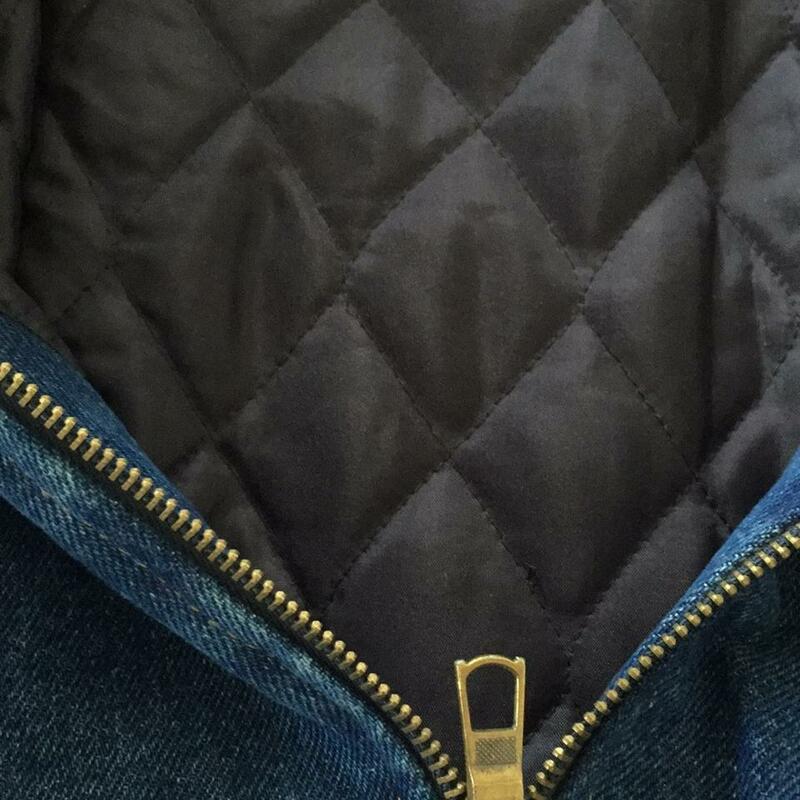 Fully quilted lining throughout jacket. Flare at bottom of jacket . Two slant pockets.